A logo I made for a band. Looks like a stencil graffiti. 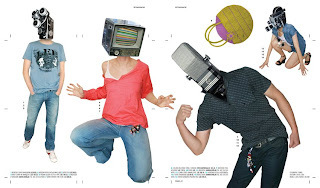 I made this drawing for Active (#3 2008). 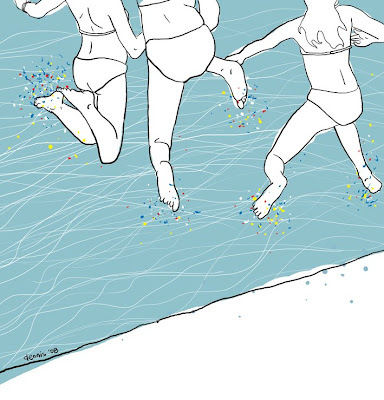 It illustrates a text about the importance of being fit and active. And this is the magazine spread. 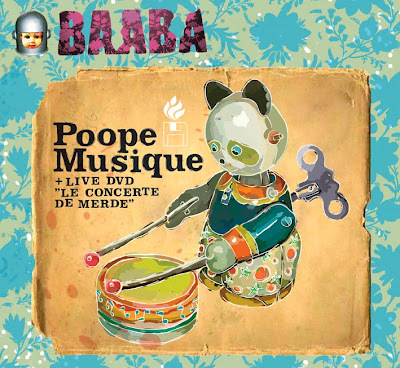 One of my most beloved designs – a cover for Baaba's Poope Musique album. I made everything here including layout, typography and illustrations. The CD was published by Lado ABC in 2006 and received loads of excellent reviews in the music press. The design looks a bit retro and naïve and that's precisely what it's supposed to look like as it was 100% inspired by Baaba's music. I guess this is the quintessence of my taste and style at the time of making. One of my illos from the inside of the digipak. 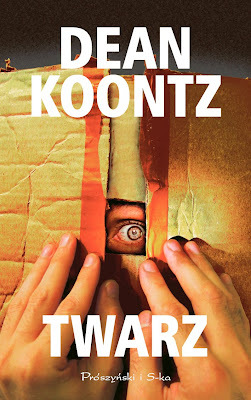 Another cover I made for a Dean Koontz novel. This time it's The Face. 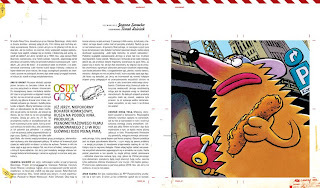 The Polish title is Twarz and it was published by Prószyński in 2004. I based the design on a picture I shot myself – that's my eye and my hands. And no, I won't tell you how I managed to put my head into the box and shoot the picture at the same time. 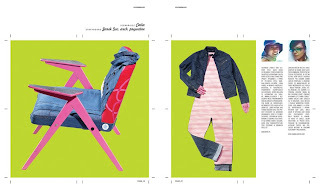 Leenia is the title of a customer magazine I design for jeans brand Lee. It's distributed for free in shops, cafés and bars. 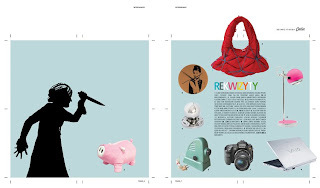 Every issue has a new layout and theme. 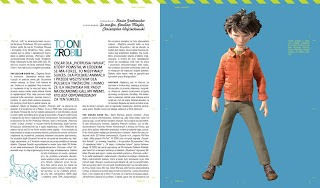 Issue #5 2008 was mostly about film and animated film. For this issue I decided to make a really simple layout with sparse use of colour. 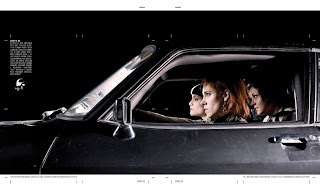 The girls on the cover are members of a Polish indie band called Betty Be. The big title was handmade - a paper cutout. This is the gadget spread. The silhouette of Norman Bates' mom is actually a shower curtain. On this spread we present young designers who have to make something new and inventive out of Lee clothes. In this case they made furniture. 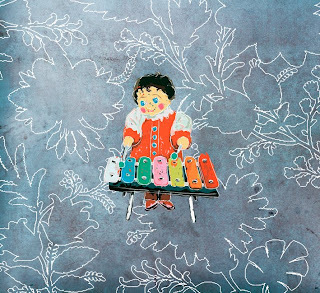 Plazmatikon is a Polish band playing electro nu-jazz (whatever that is!) They only use vintage instruments an their sound is a bit retro. I wanted the photos to look like old ORWO colour negatives. This is the last spread of the fashion shoot with Betty Be. It was inspired by Tarantino's Death Proof. A fictive interview with comic character Jerry The Hedgehog about him starring in an animated feature film. Another fashion shoot with human cameras. Academy awarded Peter And The Wolf - another animated feature production. 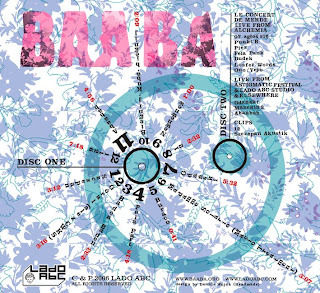 What the hell is Baaba? This is the logo of Baaba. I made it for their recordcovers, posters, stickers and promo stuff. Look for examples in my older posts. 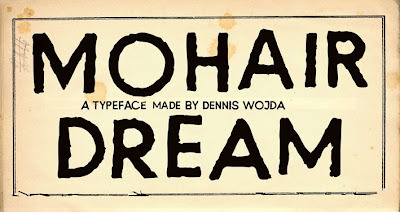 The name of this typeface is Mohair Dream. I found it on an old box from the 1950's containing welding glasses. I wanted to use it on the cover of a comic book of mine called Moherowe sny (Polish for Mohair dreams). 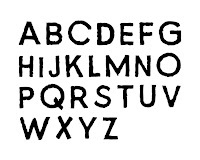 I love this typeface as it's so retro and have used it for many of my designs.